The vitamin B1 is frequently required in the detoxification alcoholic. Indeed, a vitamin intake avoids the development of Alcoholism. This syndrome causes a significant deterioration of the central nervous system and memory. Nearly 5% of people consume too much alcohol every day. The deficiency of vitamin B is one of the negative consequences of alcoholism. 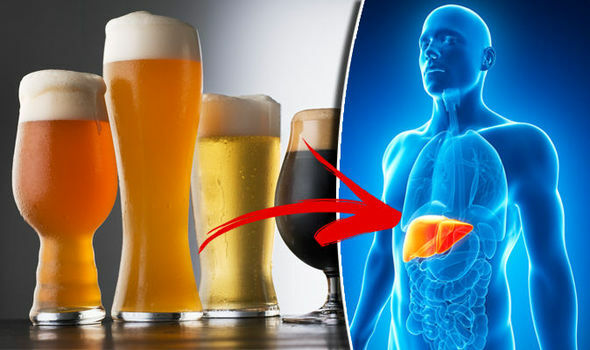 It is due to a poor diet (many alcoholics eat little and bad) and liver damage. In addition, the liver needs B vitamins to assimilate alcohol. The more alcohol you drink, the more your liver needs B vitamins. The most common form of vitamin B deficiency, and also the most serious, is a deficiency of thiamine (vitamin B1) that can lead to Wernicke encephalopathy. Wernicke’s encephalopathy is characterized by an impairment of the central nervous system: the patient is completely confused and can no longer coordinate his movements. He can hardly walk. In the most acute phase, the patient may even fall into a coma. He will die if he is not given vitamin B. These disorders can appear overnight. If, subsequently, we observe significant memory problems, we will speak of Wernicke-Korsakoff syndrome. The disorders of orientation in time, in space and mental are typical of this affection. Patients often imagine facts and events in order to fill the gaps in their memory, so-called confabulations. This syndrome usually appears between 45 and 65 years old. Most patients have been alcoholic for 20 to 30 years. Vitamin B1 is essential for our body. Thiamine helps turn glucose into energy for the brain, including the hypothalamus. The hypothalamus controls the autonomic nervous system and thus regulates body temperature, growth and appetite, as well as certain emotions and brain functions. Treatment of aloholism requires total abstinence and improved nutrition. In combination with the administration of thiamine, there is often considerable improvement in the most severe symptoms. In some cases, vitamin B1 is directly injected into the body. Korsakoff’s syndrome can cause irreversible brain damage in the most severe cases. If you are a heavy consumer of coffee, energy drinks or alcohol, it is recommended to drink enough water and take vitamin B1 supplements. Vitamin B1 is available over the counter – without prescription – in pharmacies. It is better to take thiamine with your meal. Indeed, if the stomach is empty, the thiamine leaves very quickly the body via the kidneys and the urinary tract. Now if you make your visit www.wisequit.com for the best solutions that you can long for and then you can actually hope for the perfect solution for the same and that too within the cost that would suit you. Surely this is something that you can make use of and that means a lot in the long run now.